This engaging volume contains several of Oates’s sermons and prayers. Tuck skillfully and accurately describes Oates’s approach to and beliefs about preaching as addressing the deepest needs of our personal and congregational lives. Then he summarizes his assumptions about the task of preaching. While this book does pay tribute to Oates, it primarily focuses on much-needed wisdom for contemporary clerics. The selection of sermons speaks to current issues facing today’s serious seeker of mature faith for authentic living. Topics range from rootlessness of displaced persons, pursuing authenticity in identity, facing temptations, struggling with lust, and addressing a multitude of existential concerns. He speaks to matters of conflict, despair, and meaninglessness. 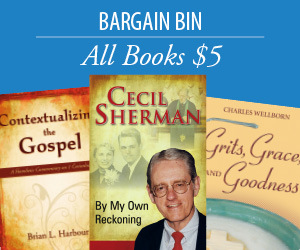 These powerful messages grow from serious biblical deliberation, reflect sound theological reflection, and make creative use of great literature. William Powell Tuck, editor, a native of Virginia, has served as a pastor in Virginia, Kentucky, North Carolina, and Louisiana, and as a seminary professor, adjunct college professor, and intentional interim pastor. He is the author of more than 30 books. He was awarded an honorary Doctor of Divinity degree from the University of Richmond. In 1997 he received the Pastor of the Year award from the Academy of Parish Clergy. He received the 2016 Wayne Oates Award from the Oates Institute in Louisville, Kentucky. He and his wife, Emily Campbell, are the parents of two children and five grandchildren and live in Midlothian, Virginia. 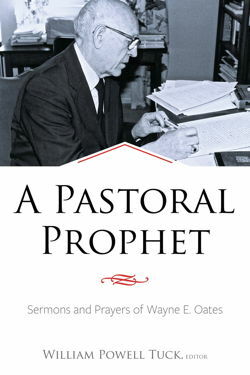 The heart and soul of a gifted spiritual mentor often elude paper and pen, but this compendium of sermons and prayers of Wayne Oates are a faithful and keen reflection of a man who shaped the ministry of many pastors and teachers. Bill Tuck has done us all an enduring favor by capturing the substance of a rabboni who blended psychology and religion into messages of eternal insight. Every day I have the privilege to sit in the Oates Institute office surrounded by the Wayne Oates Library. Hundreds of volumes addressing subject matter like psychiatry, psychology, ethics, spirituality, theology, biblical studies, medicine, psychology of religion and much more line the shelves. Moreover, there are provocative dissertations written by Wayne’s graduate students. Most notable are Bibles used by Oates in his ministry. One can readily see and feel the influence of so many academic and scholarly sources on his work. William Tuck did a yeoman’s task of editing and organizing the sermons and prayers in an engaging manner. I would like to share our gratitude on behalf of the Oates Institute and all who will be touched by this labor of love. As I read the sermons and prayers in this book, I was amazed, inspired, challenged, and comforted by the exegesis, integration, style, and impact. I couldn’t put the book down and was astounded at how contemporary the application of the Bible narrative is for the personal and societal problems we face today. Wayne’s extraordinary awareness of the human dilemma and his Holy Spirit-inspired vision of God’s and humankind’s needed response is uncanny. If you don’t want to be challenged and cared for out of the depths of this legendary minister’s preaching, then don’t start this book. If, on the other hand, you would l like to be rocketed forward into a wonderful spiritual journey, then begin! Bill Tuck masterfully catches the essence of pastoral care pioneer Wayne Oates’s teaching through these sermons and prayers. An illustration in one of Wayne’s sermons was of a ten-year-old girl who found her father after he tragically killed himself with a pistol. Wayne spoke of “following this young girl” for four or five years closely, and beautifully describes how he nurtured, pastored, and loved this girl by calling, visiting, or writing regularly to remind her that she was not alone. Wayne Oates walked the talk of his preaching. I know because I was one of the fortunate recipients of his pastoral care like many others in his lifetime. This book reminds us of the foundation of faith that undergirded Wayne’s ministry. Read these sermons and prayers and look directly into the heart of Wayne Oates. He was a consummate counselor, theologian, and writer, but first of all he was a pastor. His identity—his very heart—was that of a pastor to people in the midst of life’s struggles. No struggle was foreign to him: depression, divorce, suicide, grief: he shied away from nothing. He gave voice to our deepest hurts, then followed with words we long to hear: you are not alone.